Bread in some form or the other is a staple in most cultures. In India, it comes in varied forms especially from the northern and central parts of the country. 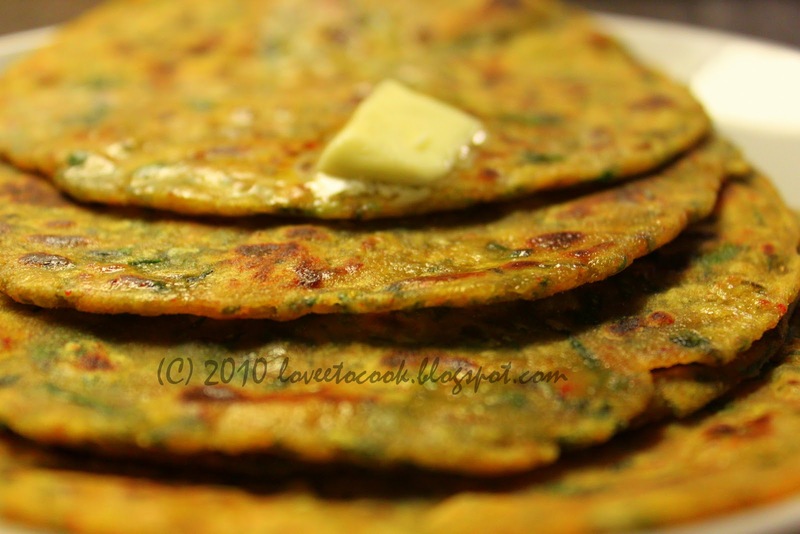 Among them, Parathas are the epitome of the Indian gorumand bread circle- made with unleavened wheat dough stuffed with veges and shallow fried , it is a complete heaven in the mouth! To start take a bowl and mix the chopped methi leaves and mashed potatoes. 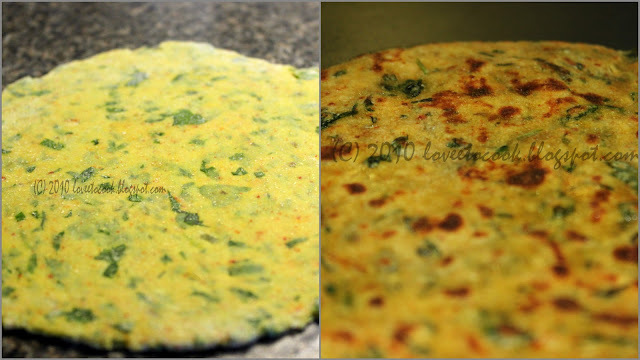 Addition of the potato helps in keeping the bread / paratha super soft and moist. Further, add the rest of the ingredients. To make the dough add some water and knead to bind. Cover the dough and let it rest. 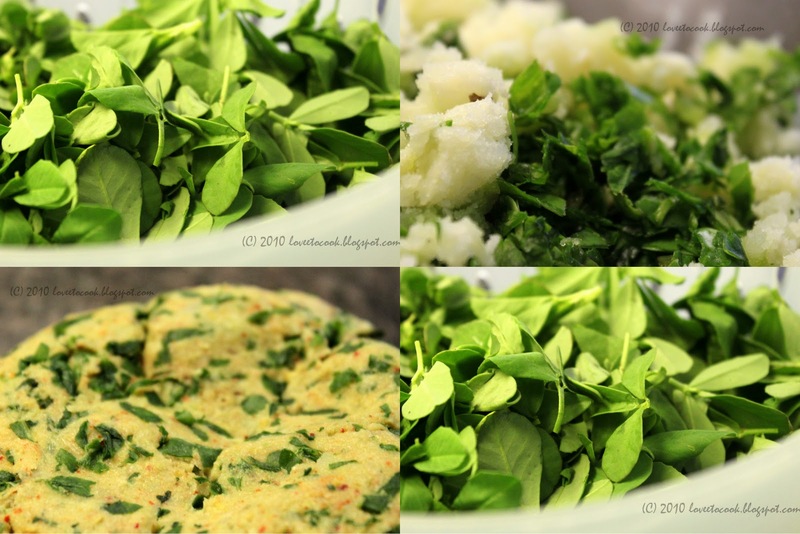 For a more flavourful and bold methi taste , add only as much flour as is required to bind all together. Once you ready to roll the parathas, knead the rested dough again . Now take small portions of the dough and roll on a flat surface. Dust your rolling board or platform with some flour as it helps in rolling the parathas better. Heat a flat pan on medium high and toss the rolled dough on the same. Turn when lightly browned on one side and let the other side brown well . Now lightly brush the lightly browned side with some oil, turn a brown some more. Add more oil if required and toss and brown the parathas on both sides. 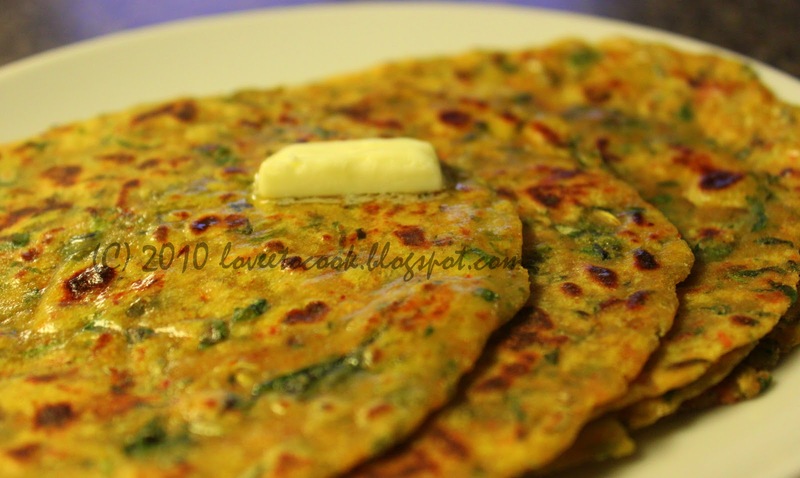 Serve hot just out of the pan or tawa with butter and a side of your favorite pickle! Tastes great day old at room temperature with hot ginger tea as well ! WOW! Looks good. I am sure will taste good too. Thats a healthy and awesome parathas..
Love them... cool pics! I m missing this!